USD has been empowered since there are no signs of missile launch from the North Korea. The support rests at 1.17370 with resistance at 1.17850 which both lines are below the weekly pivot point at 1.18050. The EMA of 10 is moving with bearish bias in the descendant channel and it is below the EMA of 200 and the EMA of 100. The RSI is falling towards the oversold area, the Stochastic is moving in low ranges and the MACD indicator is in neutral territory. The ADX is showing buy signals. 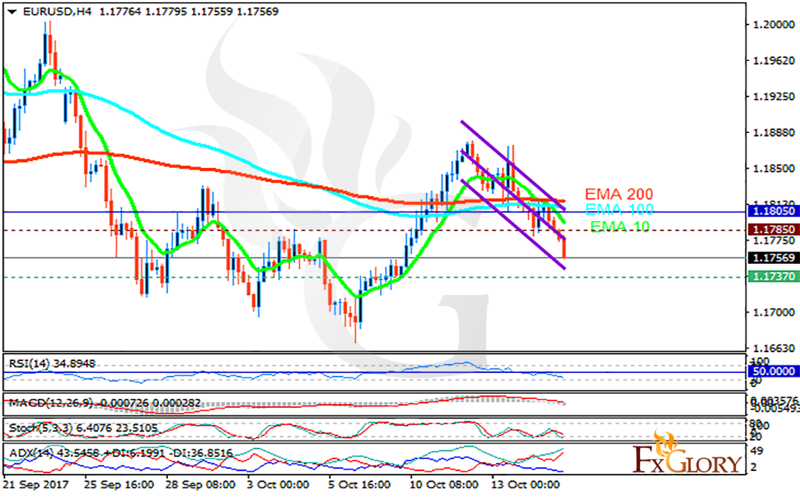 The price will decline towards 1.170 but then buyers can take profit of the correction pattern.